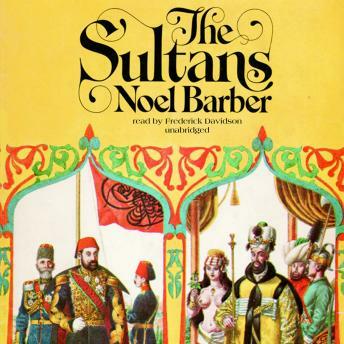 This brilliantly readable work of history tells the bizarre story of the Ottoman Empire as seen through the lives of its extravagant and tyrannical sultans. With their absolute power, their love of pomp, and their overwhelming venality and corruption, rarely has a great empire been ruled by such grotesque and awesome figures. There was Suleiman the Magnificent, who allowed his wife to persuade him to murder his eldest son and his best friend; Murad III, who left 103 children behind him when he died; Mustafa, who was kept in a cage, attended by deaf-mutes, until he ascended to the throne. There were sultans who practiced their archery on living people; sultans who drowned the ladies of their harem by the score; and sultans who gave the reins of empire to their favorite eunuchs. For four hundred years, they fought wars, terrorized their subjects, made Turkey into a great empire, and then allowed her to decline into ostentatious and impotent decay.